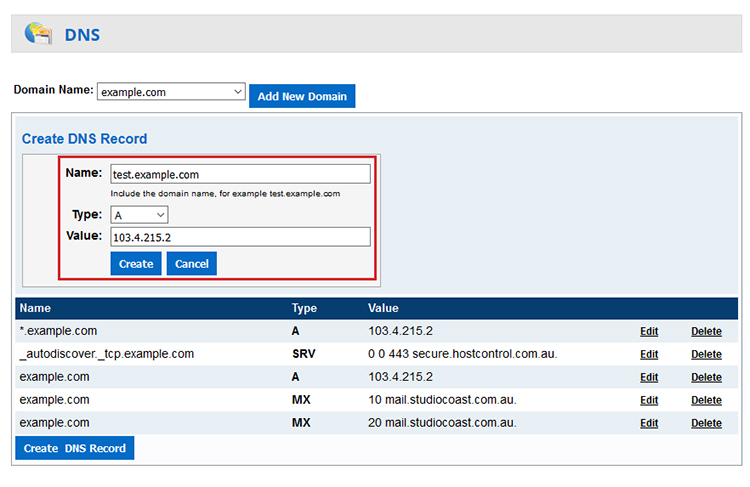 Click on the "DNS" menu item in hostControl under the 'Domains' section. To create a new record, select your domain from the top dropdown menu. 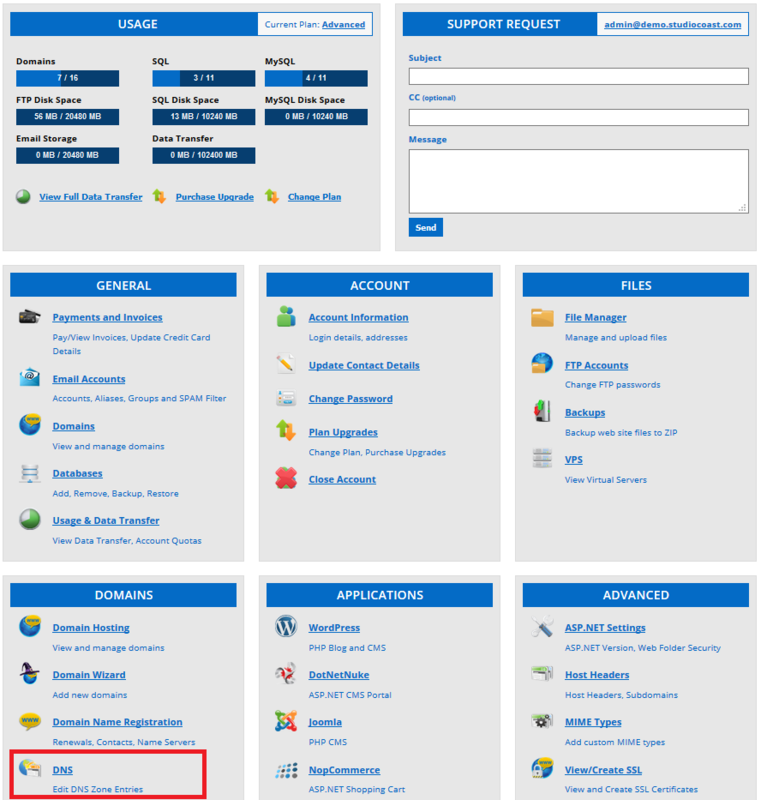 Once selected, select the "Create DNS Record" at the bottom left. Enter the details of the new record. Enter the name (such as a domain, subdomain), then the type (A, CNAME, MX, TXT, AAAA, SRV) and finally the value (IP address, server name etc) and select create. (If you are unsure about what details to include under which type, feel free to contact us. Also see "DNS Records and what they are"). In this example, we are creating DNS entry for a subdomain to point to one our Web Server's IP Address. Your new DNS record will now be displayed in your DNS Manager. DNS changes can take anywhere between 2 - 24 hours to propagate globally.